Exercising each day can help keep the doctor away. Swedish researchers studied 39,805 people 20-90 years old who didn’t have heart failure when the study began in 1997. Researchers assessed their total- and leisure time activity at the beginning of the study and followed them to see how this was related to their subsequent risk of developing heart failure. They found that the more active a person, the lower their risk for heart failure. Study participants completed questionnaires that included information about lifestyle, physical activity, smoking and alcohol habits, and medication use. Researchers looked at total physical activity, which included job-related activities, and leisure activities. Participants’ self-reported leisure physical activity was divided further into three categories: light, such as casual walking; moderate, such as jogging or swimming; and heavy, such as competitive sports. Diagnoses, hospitalizations and deaths were verified using participants’ medical records. “The Western world promotes a sedentary lifestyle,” Andersen said. “There are often no healthy alternative forms of transportation; in many buildings it is hard to find the stairs; and at home television and computers encourage sedentary behavior. 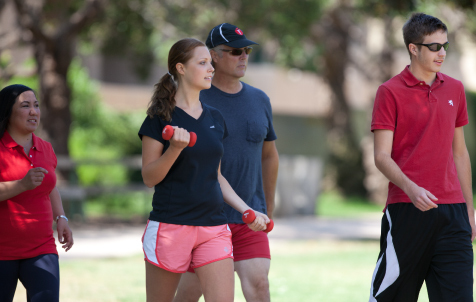 Although the relationship between heart failure and exercise has not been broadly studied, the study’s findings reaffirm the importance of continued physical activity for all adults and support the American Heart Association’s recommendations of 150 minutes of moderately intense physical activity every week. For those who need to lower their blood pressure and cholesterol the association recommends 40 minutes 3-4 times per week. If you think moderate wine drinking can protect against cardio-vascular diseases (CVDs), you are probably right: Just mix daily exercise to it. Earlier studies have found that red and white wine increases levels of high-density lipoprotein (HDL), the “good” cholesterol. “We found that moderate wine drinking was only protective in people who exercised. Red and white wine produced the same results,” professor Milos Taborsky from the Czech Republic told the gathering at the European Society of Cardiology (ESC) Congress 2014 in Barcelona, Spain. The study included 146 people with mild to moderate risk of cardio-vascular disease. Participants were randomised to one year of moderate consumption of red wine (Pinot Noir) or white wine (Chardonnay-Pinot). The researchers found that there was no difference between HDL cholesterol levels at the beginning of the study. After one year, low-density lipoprotein (LDL)- “bad cholesterol” – cholesterol was lower in both groups while total cholesterol was lower only in the red wine group. “A rise in HDL cholesterol is the main indication of a protective effect against CVD. Therefore, we can conclude that neither red or white wine had any impact on the participants as a whole,” professor Taborsky noted. The only positive and continuous result was in the sub-group of patients who performed regular exercise at least twice a week plus the wine consumption, he stressed. In this group, HDL cholesterol increased and LDL and total cholesterol decreased both in the red and white wine groups. 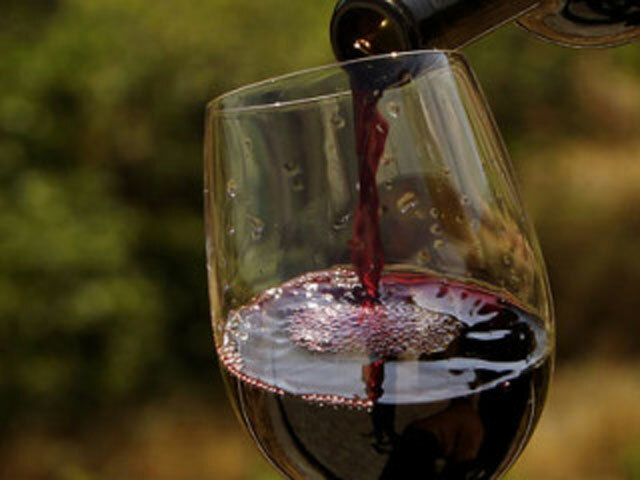 “Combination of moderate wine drinking plus regular exercise improves markers of atherosclerosis, suggesting that this combination is protective against cardio-vascular disease,” professor Taborsky concluded. Whether it is cooked, fresh sauerkraut or packed, cabbage is often placed on the table. Rich in nutrients and medicinal ingredients. It is rich in cellulose, which improves digestion. Is beneficial for the reconciliation, prevention helps with colds and coughs. Cabbage is a valuable food. cabbage tetronic acid slows the conversion of sugar and other carbohydrates into fat. This makes it a desirable food for weight loss. Sweet and sour cabbage, and brine. A good brine is a great hangover remedy. The Fat loss Factor see here!!! Cabbage is a low energy value food. 100 g has 25 calories, rich in nutrients and biologically valuable substances. Such as soluble vitamins that are soluble in water. 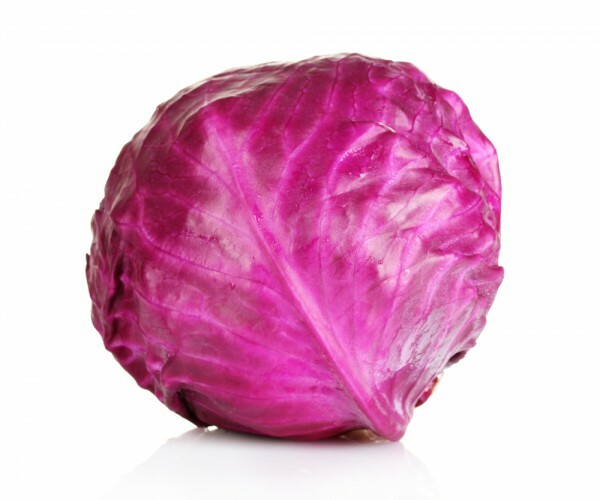 Example 100 g of cabbage has 50 mg of vitamin C, which meets the all day needs. It also contains vitamin A, calcium, protein, and a certain percentage of iron. Cabbage contains chlorophyll, which is a plant hemoglobin, and can be used with all types of illnesses and even against anemia. Those who have diseases of the stomach and intestines, and digestive problems shouldn’t use cabbage in any form. 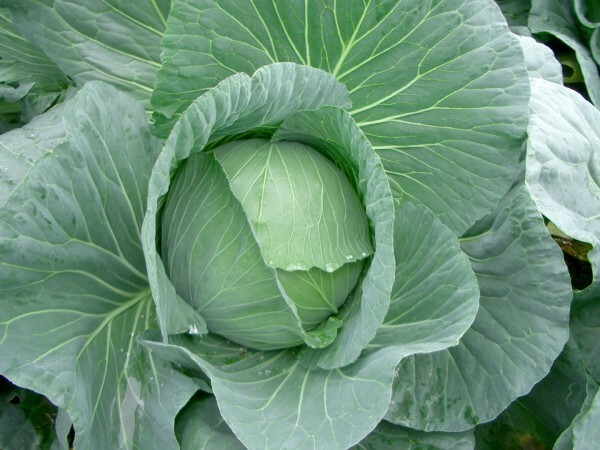 When there are no obstacles mentioned, the cabbage should be taken regularly, and acts as a laxative so that it can also affect the regulation of digestion. It is desirable that the food is on the menu for children and adults, 365 days a year. Preferably in the fresh form, as a salad, hygienically prepared, you should carefully wash each leaf. In folk medicine, cabbage is well known for its many medicinal properties. Tests have confirmed that it has antioxidant and antiseptic values. -arthritis, heart disease and blood vessel diseases. -bronchitis, headaches, gout, eczema, sore muscles and ligaments. -anemia, drowsiness, bruising, osteoporosis , lung disease, high cholesterol, colds and coughs. Regular use of vegetables from the cabbage family can effectively reduce the risk of cancer. who cropped it or not ate it, or used in small quantities. One of the biggest complaints is that cabbage creates bloating, but the main reason is his cooking. Many medicinal properties of the cabbage will be lost if you cook it. And is recommended to be eaten in raw form or possibly steamed. People’s risk of heart disease may differ based on their jobs — workers in service and blue-collar occupations, as well as unemployed people, are at increased risk for heart disease and stroke, according to a new report. Researchers found that people’s risk of heart disease and stroke varies with their industry. Those working in wholesale came in at top of the list, as 2.9 percent of the people in that industry had suffered heart disease or a stroke. Those working in finance and insurance had the lowest rate of heart disease, at 0.8 percent. For the study, researchers at the Centers for Disease Control and Prevention looked at national health surveys conducted between 2008 and 2012 to estimate the rate of heart disease and stroke among adults younger than 55. The researchers also analyzed whether unemployed people or workers in certain industries had different risks compared with their peers. Among employed people, workers in service and blue-collar occupations were more likely than those in white-collar occupations to report having had heart disease or a stroke. However, heart disease risk also depends on people’s age and gender. When the researchers adjusted their results based on those factors, they found the rate of heart disease and stroke was highest among people in two industries: One is called Administrative and Support and Waste Management and Remediation Services, and it includes people working in business support services and security services, as well as landscape services and waste management. The other category is called Accommodation and Food Service, which includes people who work in traveler accommodations, restaurants and bars. Looking at employment status, the researchers found that 1.9 percent of employed people had experienced heart disease or stroke, compared with 2.5 percent of unemployed people who were looking for work, and 6.3 percent of people not in the labor force. That group includes unemployed adults who have stopped looking for work, homemakers, students, retired people and people with disabilities. Cardiovascular diseases account for one in three deaths every year in the United States. Most of these deaths are caused by stroke or the most common type of heart disease, called coronary artery disease, which is a narrowing of the blood vessels. That condition can progress and lead to a heart attack. Risk factors for heart disease range from having medical conditions such as diabetes and high blood pressure, to lifestyle factors such as diet, smoking and physical activity. 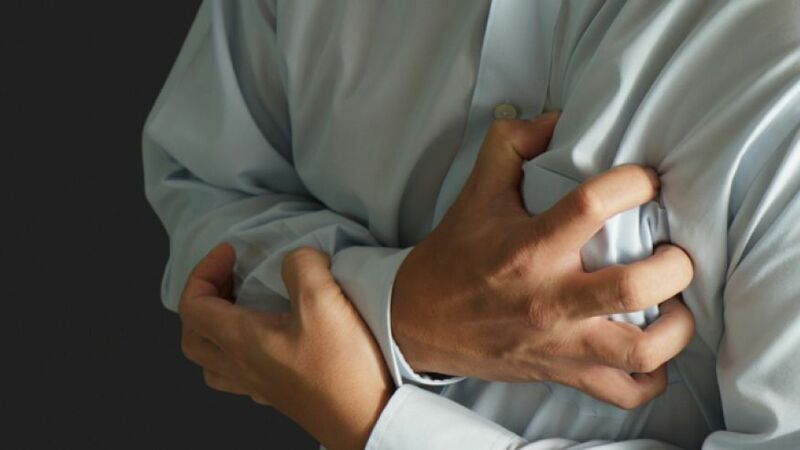 Work-related risk factors for heart disease and stroke include noise, job stress, secondhand smoke and doing shift work, according to the CDC. To address work-related factors contributing to heart disease risk, the CDC launched a program called the Total Worker Health in 2011. It aims to control occupational risk factors, such as job stress, while promoting a healthy lifestyle. People who have jobs in industries with higher rates of heart disease might especially benefit from an employer-sponsored Total Worker Health program, the researchers said. It’s not clear why people’s jobs are linked to their heart disease risk, but certain characteristics of jobs may come into play. For example, workers employed in Administrative and Support and Waste Management and Remediation Services have reported higher rates of job insecurity than all other workers, the researchers said. Job insecurity is a common cause of stress. A diet loaded with salt is associated with double the risk of heart attack or stroke in people with type 2 diabetes. The risk skyrockets even higher among those whose diabetes isn’t well-managed, a new Japanese study reports. However, it’s important to note that this study only found an association between salt intake and increased heart disease; the study wasn’t designed to prove that the increased salt intake actually caused heart disease. Still, experts believe it’s important to limit salt in the diet. “The findings are very important from a public health point of view,” said Dr. Prakash Deedwania, chief of cardiology for the Veterans Administration Central California Health Care System and a professor at the University of California, San Francisco School of Medicine. “Everyone’s focused on controlling glucose [blood sugar] to prevent diabetes complications. Salt intake is not as well emphasized, but this shows it should be reduced as well,” said Deedwania, a member of the American College of Cardiology’s Prevention of Cardiovascular Disease Committee. Salt — also called sodium — is known to increase blood pressure, according to the American Heart Association. Accordingly, U.S. nutritional guidelines call for limits on salt intake. Because of the already increased risk of heart disease, people with diabetes should consume no more than 1,500 milligrams of sodium per day. People without diabetes should limit their sodium intake to 2,300 milligrams, the CDC says. In the current study, the lowest average was 2.8 grams a day, which equals 2,800 milligrams. The new study involved nearly 1,600 people, aged 40 to 70, participating in a nationwide study of diabetes complications in Japan. They responded to a survey about their diets, including salt intake, and researchers reviewed data on heart complications participants experienced over the course of eight years. 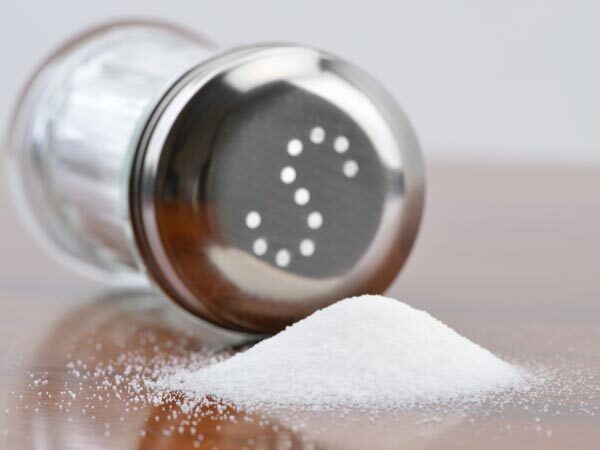 The investigators found no link between salt intake among diabetics and increased risk of kidney disease, diabetes-related eye problems or death. Diabetes and salt have similar harmful effects on the cardiovascular system, Mezitis said. Both cause blood vessels to harden, and both increase the risk of blood clots that can cause a heart attack or stroke. However, Mezitis cautioned that the study needs to be replicated in America. Japanese patients are not as heavy as Americans, they eat less salt, and they do not take as many cholesterol-lowering drugs. The study also relied on people’s own reports of salt intake, which could lead to some inaccuracy, said Dr. Robert Carey, a professor of endocrinology at the University of Virginia and spokesman for the Endocrine Society. “I would not recommend any guideline changes based on this study, but I think this study strongly suggests there may be a relationship with cardiovascular disease and salt intake among diabetics,” Carey said. Each year, thousands of children are diagnosed with attention deficit hyperactivity disorder (ADHD) and put on stimulant medications to help them better focus. While these drugs have proven successful in many children, they have been linked cardiovascular health problems. New data published in the Journal of Child and Adolescent Psychopharmacology suggests that stimulant drugs like Ritalin and Adderall can accelerate heart disease that will often not be recognized until later in life. Researchers followed more than 700,000 children born in Denmark between 1990 and 1999. They found that while cardiovascular events were rare, they were twice as likely to occur in stimulant users than those who did not take the drugs. Over the last decade, the over-diagnosis of ADHD in American children has been hotly debated. The truth is, in many children and adults it is over-treated, putting them at risk for heart disease and even addiction. Based on this new study, underestimating the complications of placing potentially addicting drugs in the hands of more people may have more damaging consequences than we previously thought. Of course, when ADHD is properly diagnosed and treated with the lowest possible doses of stimulant medication, one can reduce the risk to children and adults. And early pharmacological treatment may reduce the risk of substance abuse in some children. These and all drugs carry risks. When we prescribe medications that can acutely affect the health of young people, or in the long run result in illness, disease, or death – we need to provide a caution on the pill bottle. It’s important that we emphasize that these drugs may be addicting and should not be mixed with other drugs, supplements or drinks. It is true that the chance of having an adverse outcome is statistically low. But with so many children on these medications for so many years, the risks rise substantially. Before putting your child on medication, try healthy diet combined with smart lifestyle changes that may reduce or even eliminate symptoms and may also protect your child’s heart from many diseases. A staggering 43 million Indian women are affected by heart disease, with one in every three women dying of the condition as against one in 31 from breast cancer and experts say that it is post-menopausal women who are at a greater risk. Tapan Ghose, director and head of department of cardiac sciences at Paras Hospitals, said that in 2012, 56 percent of women identified heart disease as the leading cause of death compared with 30 percent in 1997. India is considered the cardiac as well as the diabetic country of the world. It has been estimated that 60 percent of the Indian population is suspected to be suffering from some cardio-vascular disease. Ninety percent of women have one or more risk factors for developing heart disease,” Ghose told IANS. “While one in 31 Indian women die of breast cancer each year, one in three dies of heart disease,” he added. Agreeing with Ghose, N.N. Khanna, senior consultant, cardiology at Indraprastha Apollo hospital, said that post-menopausal women are at greater risk as compared to their male counterparts. “Once they develop a cardiac disease, chances are they might face death due to it. We do not have real statistics in India; but death toll is higher in India since women are prone to diabetes,” Khanna told IANS. Women are more susceptible to cardiac ailments after menopause since their natural protection wears off, he added. According to Deepak Khurana, director of cardio thoracic and vascular surgery at Rockland Hospital, Manesar, urbanization of society, stress level, smoking, consumption of alcohol and lack of physical work are some of the main reasons for the growing trend. Anil Bansal, chief cardiologist at Columbia Hospital, Gurgaon, said that diabetes, hypertension and obesity are equally responsible. “With changed patterns in urban culture, the trend of smoking and excessive alcohol has increased among women, making them vulnerable to heart diseases. Cardiovascular diseases are also rising due to affluence with which there is increased dependence on junk food, leading to rising heart conditions,” Bansal told IANS. “Along with high cholesterol, obesity, reduced physical activity combined with over-nutrition, increase in smoking and alcohol consumption and sedentary or moderate lifestyle,” he added. Listing out the challenges faced by women suffering from heart diseases, Khanna said that symptoms of cardiac ailments can be very different in women as compared to men. “Women usually have atypical symptoms such as breathlessness, palpitations, listlessness, fatigue, dizziness, nausea, vomiting… which are difficult to diagnose. Another challenge is denial amongst women and society when it comes to female health. Women tend to neglect their health and disregard the symptoms and hence, early detection of the disease is not possible,” he contended. He added that the biggest challenge for women suffering from heart diseases is to get the appropriate diagnosis at right time which he said can be attained by long-term heart monitoring with the help of implantable devices like Implantable Cardioverter Defibrillator (ICD). “The device automatically monitors heart rhythm and delivers therapy as needed to prevent sudden cardiac arrest,” he said. Sharing similar opinion, Bansal said that proper diagnosis is one of the many challenges as the heart disease is either misdiagnosed or the symptoms are perceived to be linking towards some other heart problem. “The reason behind this is that the symptoms are vague and the parameters of diagnosis of heart disease is majorly based on symptoms that are found in men which result in under diagnosis. Symptoms can be atypical from men, normal classic symptoms are less, more shortness of breath, and even modern standard screening test like exercise stress test are more likely to be falsely positive in women,” he said. The trial, which tested the tomato pill versus a dummy drug in 72 adults, found it improved the functioning of blood vessels. But experts say more studies are needed to prove it really works. 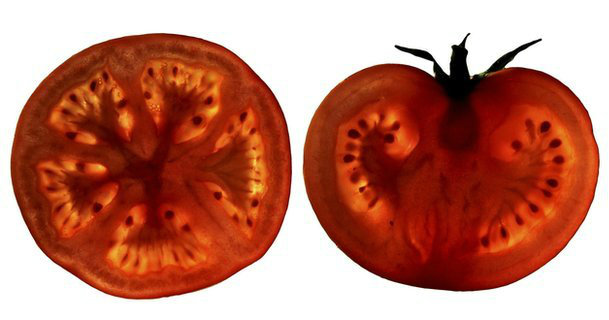 The pill contains lycopene, a natural antioxidant that also gives tomatoes their colour. A daily ‘tomato pill’ is not a substitute for other treatments, but may provide added benefits when taken alongside other medication” Experts have suspected for some time that lycopene might be good for avoiding illnesses, including certain cancers and cardiovascular disease. There is some evidence that eating a Mediterranean-style diet, which is rich in tomatoes (as well as other fruit and vegetables and olive oil), is beneficial for health. Following a healthy diet is still advisable but scientists have been researching whether there is a way to put at least some of this good stuff into an easy-to-take pill. 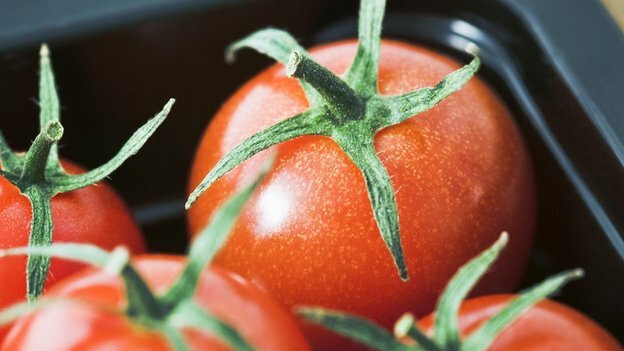 A spin-off company from the University of Cambridge – Cambridge Theranostics (CTL) – has come up with its own “tomato pill”. Working independently of CTL, and instead funded by the Wellcome Trust, the British Heart Foundation and the National Institute of Health Research, a team at Cambridge University set out to see if the pill would have the desired effect. They recruited 36 volunteers known to have heart disease and 36 “healthy” controls, who were all given a daily tablet to take, which was either the tomato pill or a placebo. To ensure a fairer trial, neither the volunteers nor the researchers were told what the tablets actually contained until after the two-month study had ended and the results were in. For comparison, the researchers measured something called forearm blood flow, which is predictive of future cardiovascular risk because narrowed blood vessels can lead to heart attack and stroke. In the heart disease patients, the tomato pill improved forearm blood flow significantly, while the placebo did not. Many doctors treating heart disease tend to prescribe drugs known as statins like Lipitor, but some physicians in Canada are trying a new method: a vegan diet. Heart disease is the second leading cause of death in Canada. It kills 47,627 Canadians every year. Dr. Shane Williams is a community cardiologist in Bracebridge, Ont. He’s been a vegan since 2010. Vegans don’t eat meat, fish, poultry, eggs, dairy products, or honey. 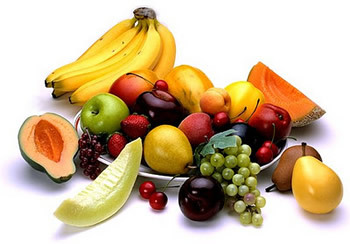 They do however, eat fruits, vegetables, whole grains, nuts, seeds and legumes. “People do not know the power of food,” Williams told For the past four years, the cardiologist has been slowly refocusing his patients on lifestyle changes. “The challenge is that this takes time,” said Williams. Starting in 2011, he started using a plant-based diet for patients who were interested and added group counselling sessions circling on veganism. Williams says this is making a big difference in patients who are willing to keep an open mind about their diet. “I see it here first hand, and it is simply amazing,” he said. Liam Cragg, 59, of Bracebridge, Ont. is one case. In 2012, he went to the hospital because he exhibited signs of a heart attack. Cragg followed up with his family doctor a week later who referred him to Williams. After four months on a mostly plant-based regime, Cragg noted a big difference. “I was at least 30 pounds lighter, my waistline had shrunk by four inches and my knees didn’t ache anymore,” said Cragg. Williams says he commonly spends 60 minutes or more with patients at their initial assessments. The cardiologist would like to see more doctors take an alternative approach in treating patients and specifically, honing in on their behaviour. “What concerns me is that most doctors do not realize the power of food as an alternative to medication,” said Williams. He is not alone about his theories about veganism and heart disease. 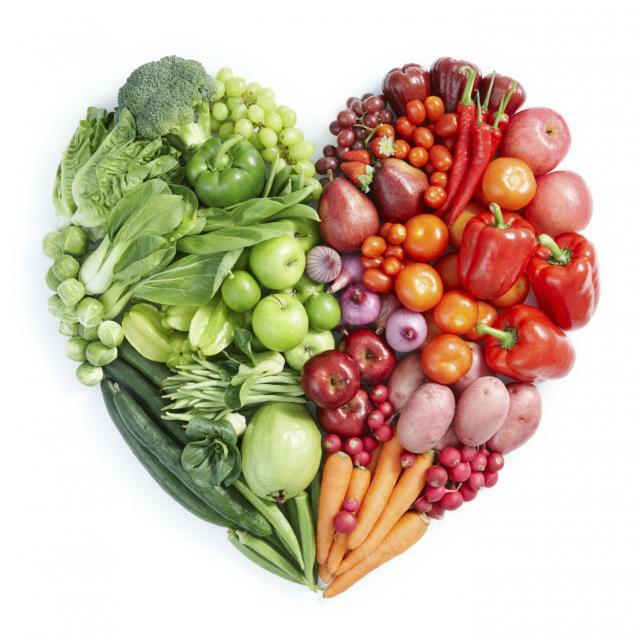 Dr. William Roberts, a prominent cardiovascular pathologist and the editor of the American Journal of Cardiology, also believes that a vegan diet is the solution to heart disease in the Western world. Roberts contends that the cause of heart disease is elevated cholesterol from not eating vegan. “Human beings are far more like herbivores than carnivores,” he said. Some experts argue that the structure of our teeth, and the length of our intestinal tract, are indications that humans are more herbivore oriented. While carnivores have sharp teeth, the majority of ours are flat, which is ideal for grinding fruits and vegetables. Carnivores have short intestinal tracts, but ours are very long. Meat consumption has been linked to higher risks of developing heart disease, cancer and diabetes and there’s a lot of evidence connecting diet and disease. For example, in plant-based cultures like rural China, central Africa, the Papua highlanders in New Guinea and the Tarahumara Indians of northern Mexico, coronary artery disease is almost nonexistent. When these people adopt Western, animal-based diets however, they quickly develop heart disease. Roberts argues that the plant-based diet is both cost effective and safe. “If we put everyone on drugs then thousands of people would suffer side effects, so of course a vegan diet is the least expensive and safest means of achieving the plaque preventing goal,” he said. But, statins, which are cholesterol-lowering drugs, are one of the most commonly used medications in North America and there’s some argument that they’re effective, if used properly. A study, published in Annals of Family Medicine last week, analyzed 16,712 responses from people aged 30 to 79 years-old. 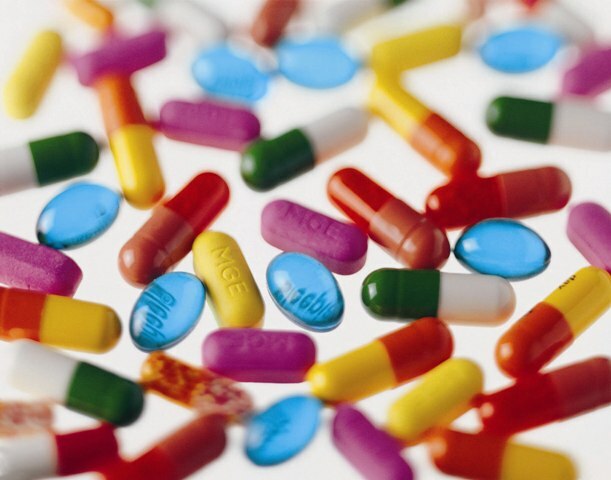 Americans who filled at least two prescriptions for statins were classified as statin users. According to the authors, many people at high risk for heart disease were not getting the statins they should be. “A lot of people who [might have] benefited aren’t on statins, and we don’t know why that is,” said Dr. Michael Johansen, the study’s lead author. He said this could be for a number of reasons, including doctors who aren’t prescribing them, patients who don’t have health insurance, or people who aren’t taking medications they’re given. 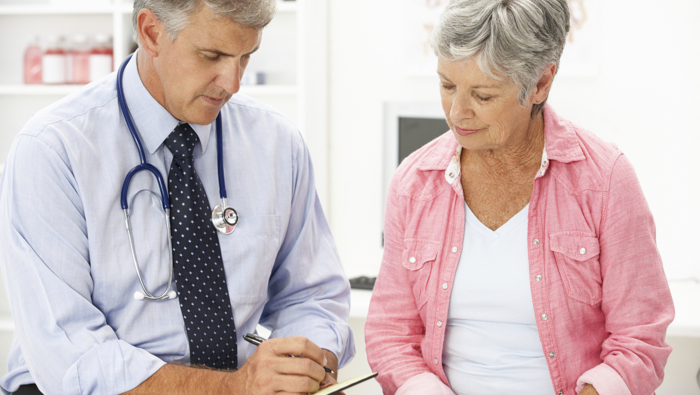 “As doctors we need to make sure patients understand the benefits, and are being compliant. We need to make sure everyone has access to these drugs from an insurance, and access to care perspective,” said Johansen. Dr. John McDougall, an American physician and a leading authority on diet and heart disease, says statins should be the last solution. McDougall thinks that heart disease can be prevented and treated with a diet consisting of starches, vegetables and fruits, but no animal products or added oils. “Statins should be reserved for very sick people, and a healthy diet is for everyone,” said McDougall. Back in Bracebridge, Williams and McDougall will be holding what they call an “immersion weekend” sometime in late summer or early fall at the clinic with McDougall participating in a Skype discussion with patients. For Williams the focus should be on prevention. What we’re told by pharmaceutical companies is that only 10 per cent of the cholesterol in our bloodstream is what we consume, and the rest is made by our liver. What they don’t tell us is that the Western diet causes the liver to over produce cholesterol — a pretty significant ‘oops we forgot to tell you’ on the part of pharmaceutical companies,” said Williams. The plaque that builds up in our arteries is made of cholesterol, but when our cholesterol is low enough there’s nothing for our body to build plaque with. “The best way to prevent heart disease is to be a vegetarian-fruit eater, a non-flesh eater and a non-saturated fat eater,” said Roberts.